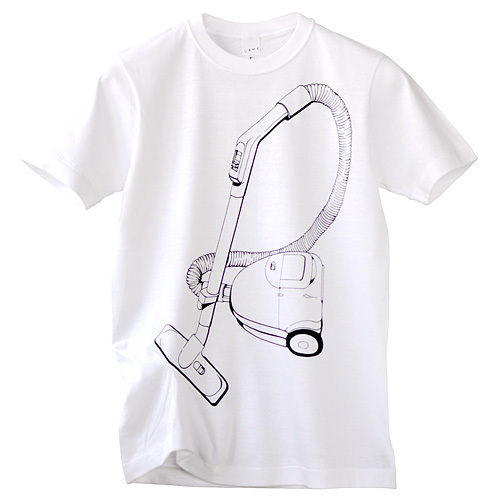 "The T-shirt that doesn't lose suction." What kind of cleaner are you using? 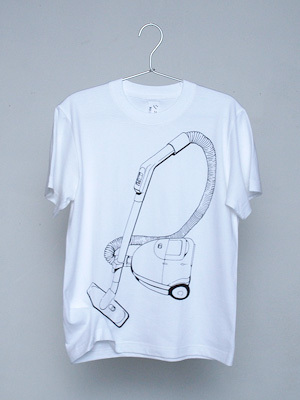 standard cleaner with a paper bag, or newest model of cyclone cleaner? 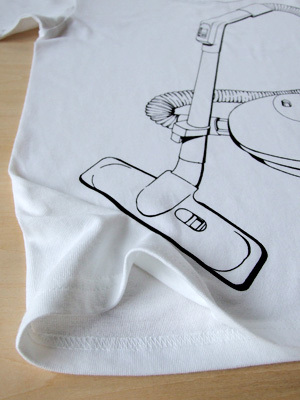 Today we wanna introduce you a cleaner, totally different from any one of those. It works with no noise at all. Look carefully, because it is silent. 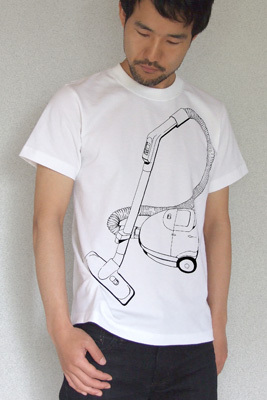 The illustration of vacuum cleaner. but it's not just an illustration. When you look carefully...yes, you'll find that the bottom of the T-shirt is sucked.